A delicious lunch from our very own King of the Wild Frontier, Tom. 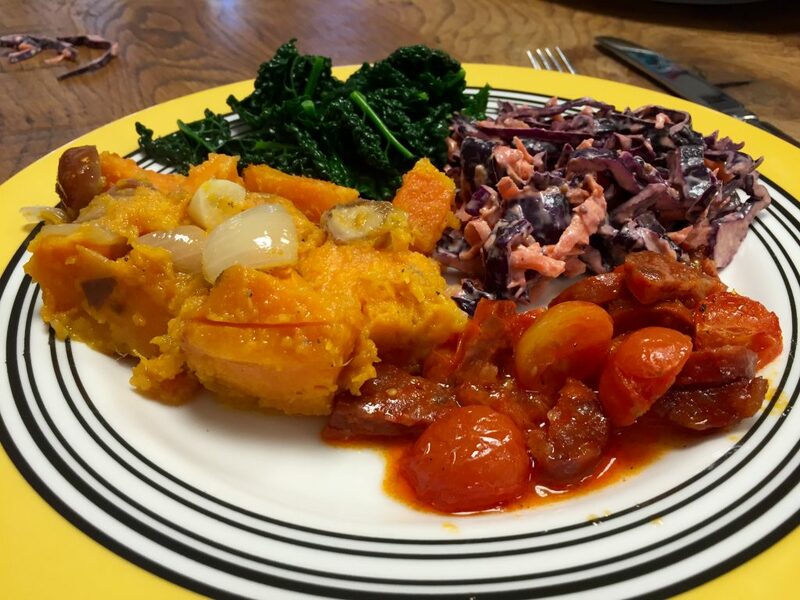 A delectable mix of tasty, brightly-coloured seasonal vegetables, baked with Garlic and onions, delicately arranged on the plate with savoy cabbage, tomato and chorizo, and a handmade cabbage and carrot slaw. Lovely, wholesome stuff shared with the girls at Blue Sky Business.